Virginia auto insurance requirements are much like those in other parts of the country, in that you’re only responsible for liability. But you’ll never go wrong by investing in a more thorough coverage, which may be found in a comprehensive policy. An important reason to consider a comprehensive policy is wildlife and the danger it can pose to motorists in the Old Dominion State. With this being mating season, deer are on the move in several parts of Virginia, particularly in densely wooded areas, much of which line the state’s highways. It’s no surprise, then, that Virginia is consistently ranked among the top states in the country for deer strikes, which as been documented by several insurance carriers. Local news outlet WHSV-3 reported that Virginia ranked in the top 15 states for deer collisions last year, as motorists have a 1 in 94 chance of running into one of these four-legged creatures. Occasionally, annual traffic safety reports will come out detailing a significant increase in a particular incident – such as auto theft – only to decline during the following year. However, data maintained by DeerCrash.org suggests that the frequency of deer collisions in Virginia is not an aberration. 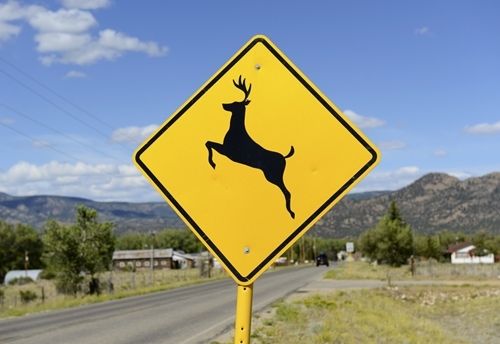 Virginia has been in the top 10 states for deadly deer crashes in 1999, 2000, 2005, and 2011. Comprehensive auto insurance enables motorists to more easily pay for damages that result from these types of emergencies. It’s these same urgent situations that a number of residents are ill-prepared for – both on the road and from home. According to a survey conducted by Fairfax County, slightly more than half of residents – 54% – have an emergency supply kit in their homes, and a minority have something similar that they keep in their vehicles, at 45%. A senior emergency planner with Fairfax County’s health department recently indicated that being prepared for the unexpected not only enables residents to recover more quickly but is helpful to safety officials who may need to respond to incidents where accidents happen. 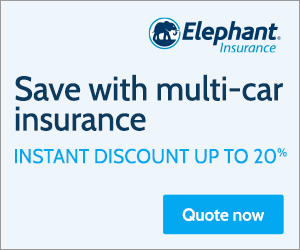 Because comprehensive car insurance may provide coverage for crashes that include animal strikes, policyholders can more easily absorb repair costs, which average in the thousands of dollars. Additionally, having a well-stocked emergency supply kit in the car may be able to address superficial injuries, including bumps, bruises, and scratches. You don’t want to use your high beams when motorists are approaching, as this can cause temporary blindness. But in all other situations, keep them on so that you increase your field of vision. This not only makes it easier to see, but it may also deter deer from darting across the road. You should always be mindful of what may happen at any given time when you’re driving. This is what means to drive defensively – behaving in a way that will enable you to react without hesitation when an emergency crops up. Pay attention to the street signs and understand that there’s a reason why stretches of highway have the speed limit they do. There are lots of products out there – sold in stores, online or via late-night infomercials – that claim to protect consumers from the unexpected. This includes deer, moose, or other large wildlife that are found in large numbers in states like Virginia, West Virginia, Montana, and Texas. If they sound too good to be true, they probably are. The Insurance Information Institute maintains that deer whistles, fences, and reflectors have not been scientifically proven to work.